What Page Do You Want It Sub-Linked To? Go to this color picker and choose your color. 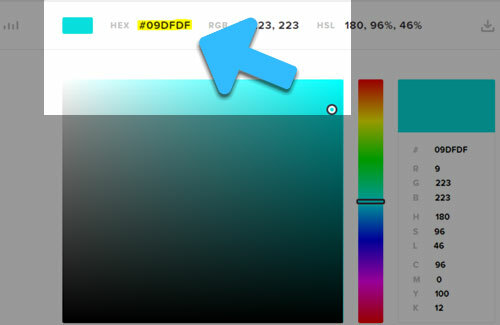 Copy the HEX code highlighted in the picture below and paste it into the color field. We will set up the email account and email you the password.